As you may well know, BBC Books have released a series of novels in celebration of the shows much anticipated 50th birthday. The Doctor Who 50th Anniversary Book Collection features 11 titles in total, one for each Doctor. All of these are original tales, except for Ben Aaronovitchs Remembrance Of The Daleks, which is a reprint of the Target novelisation of the classic 1988 TV serial. Who remembers the old Target novels? There has to be a good few other thirty something codgers like me out there who avidly collected them back in the day. We didnt have a VCR (remember those?) until the dawn of the 1990s in my house, so the Target books were my only way of storing classic Who stories for posterity. I had heaps of them, and being something of an obsessive compulsive child I had an ongoing conundrum over whether to arrange them in order as they were published or as the original TV serials were broadcast. This is what you do when youre a pre-pubescent nerd, and I wondered why people thought I was weird. Aaronovitchs novelisation still stands up 25 years later, and it was a big departure in style and substance for the range when it first came out. By and large the old Target books didnt take many liberties with the source material. In retrospect, some of them could even be accused of phoning it in. If I had a dollar for every time the fifth Doctor was described as having an open and pleasant face, Id have about twenty dollars. Remembrance Of The Daleks however, takes things to the next level. The serial itself was quite meaty and one of the best of the seventh Doctors era. The novelisation takes pains to flesh out the characters, giving them a lot of background not mentioned on screen that greatly enhances their motivation. The character of Rachel is revealed to have Jewish origins and we learn she was a survivor of the Blitz, whilst the fascist Dalek collaborator Ratcliffe is linked back to Oswald Mosleys Black Shirts and the battle of Cable Street. The whole Dalek/Nazi allegory is pushed really hard in this story. Which is fitting seeing as Terry Nation himself once claimed that he was inspired by his childhood experiences of Luftwaffe air raids in wartime England. Aaronovitch takes what was sketched on television and in expanding upon in gives the story that much more impact. The Daleks themselves are at their nastiest. The secret of the renegade factions battle computer is something that gave me the willies when I was ten years old and still does now. 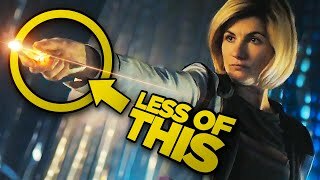 The ruthless and murderous behaviour of both factions in the Dalek civil war lends not a small amount of sympathy to the seventh Doctors typically manipulative and eventually extreme actions. For perhaps the first time, the genocidal pepper pots are given internal dialogue which gives us unprecedented insight into Dalek language, history and culture. It really serves to make the long standing villains into something deeper than the two dimensional shouty rubbish bins they had become by this point. On top of all this richness and some excellent character development for Ace, are original scenes not seen on television. I remember this thrilling me when the book first came out. There are flashbacks to ancient Gallifreyan history, the origins of the Hand of Omega and the nuclear blast that made Davros the hideously deformed creature that he is. We also get to see a lot more of the heavily armoured, cannon toting Special Weapons Dalek known in the book as The Abomination. I wont say too much, but I will say that even other Daleks shiver in their shells at the mention of its name. It was a great concept and it would be fantastic to see it revisited in the future. The extra details were taken from the legendary Cartmel Master Plan, with which late '80s script editor Andrew Cartmel aimed to bring mystery and menace back to the Doctor along with fresh questions over his origin. The inclusion of these turns what could have been just another TV novelisation into something well and truly epic that paves the way for the sometimes controversial Virgin New Adventures range of the 1990s. This story was something of a watershed in the era of the seventh Doctor that marked the character's transition from a catchphrase mangling, spoon playing clown into the Yoda like master manipulator he would become known as. Remembrance Of The Daleks is a ripping read and a brilliant expansion upon one of the best serials of the classic series later years, and was a far more fitting celebration of the 25th anniversary of Doctor Who way back in 1988 than the patchy and much maligned Silver Nemesis. In returning the action to Totters Lane and 1963 it brings things back full circle in a very satisfying way. Of all the old Target novels that could have been reprinted for the 50th, this was the best possible choice. Put your question mark sweater on, grab your umbrella and head on down to your local book shop and pick it up. You wont be disappointed. Andy T Coombs is a writer, poet and spoken word performer currently living in Australia. He is a massive science fiction geek, occasional bass player and allegedly amusing. If you see him buy him a beer.